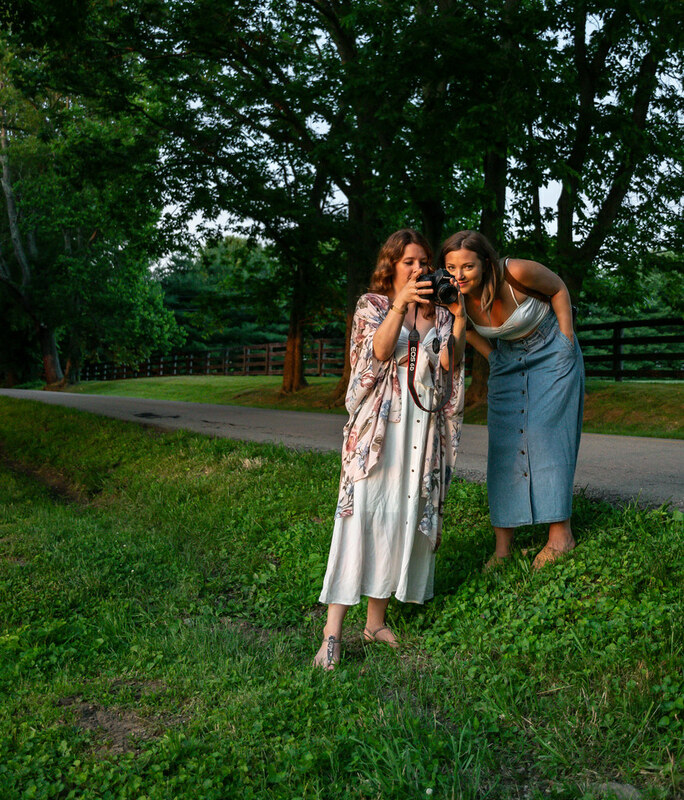 In June, we attended an intimate blogger retreat in Lexington, Kentucky. We have wanted to tell you about it for a while, but as soon as we got back, we only had four days until we left town again—this time for a sailing adventure in the Caribbean with Ryan’s family. Plus, between all our travels, we have been spending every waking moment working on the final stages of the upcoming Husbands That Cook cookbook. Last month, we received our manuscript—474 double-spaced pages not including photos—back from the copy editor, and we have been diligently reading through it with a fine tooth comb, one last time before it is finalized and shipped off to be printed. We’re so excited for everyone to see it when it comes out on March 12, and we can’t wait to go on tour and meet all of you in person. Until then, we’ll be sharing new recipes on our blog—like this smooth bourbon cream, here to slow your summer and soothe your sultry sorrows. 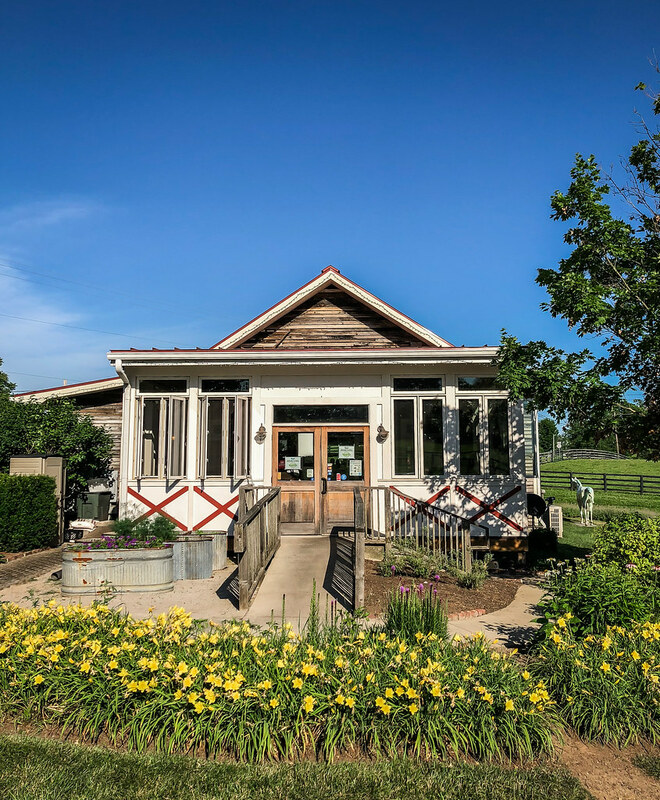 Pull up a rocking chair, get comfortable, and we’ll tell you all about our retreat in the South and how this creamy concoction was created. It all started exactly one month ago. On Thursday, June 16, we flew into Cincinnati, rented a car, then headed ninety minutes south to Lexington, singing along with Bill Monroe the entire time. 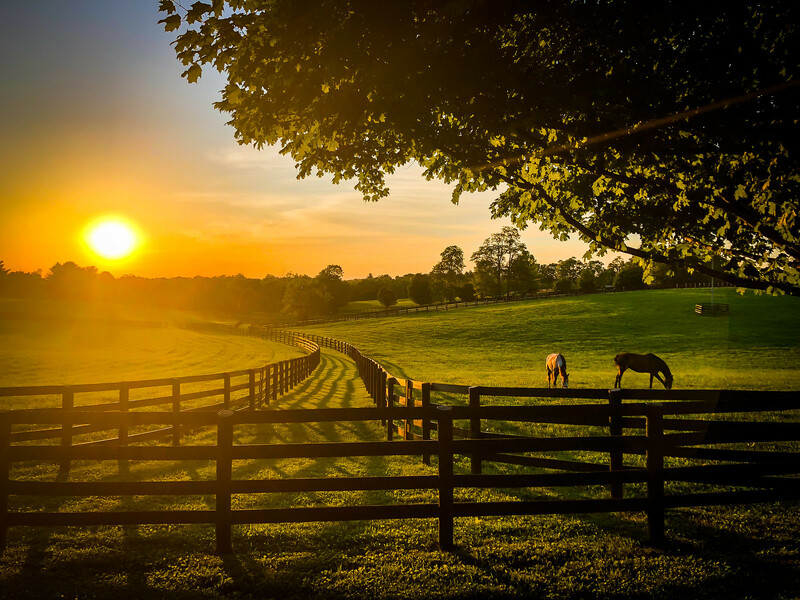 This was our first visit to Kentucky, and we fell in love with the Bluegrass State from the moment we began driving through the rolling hills of this lush southern landscape. 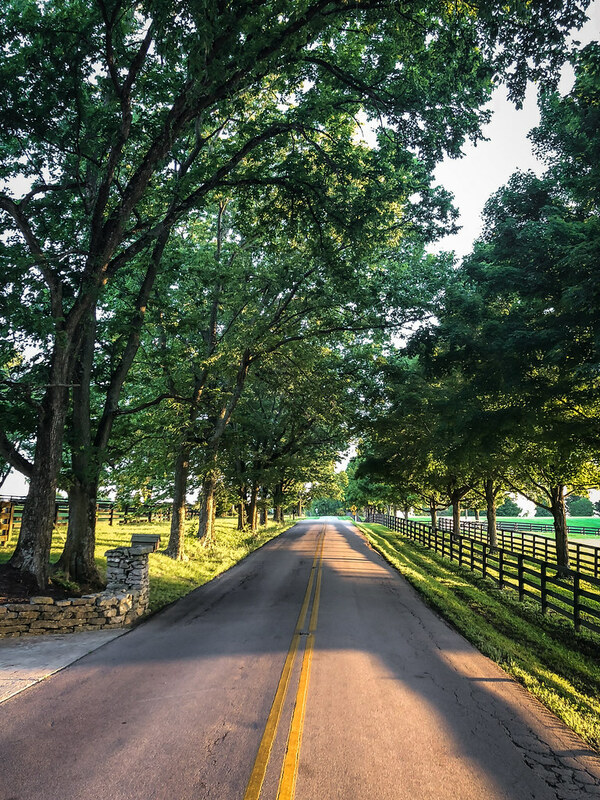 As soon as we exited the main highway, we were winding through narrow, tree-lined roads, surrounded by expansive green farmlands, split-rail fences, and grazing horses. 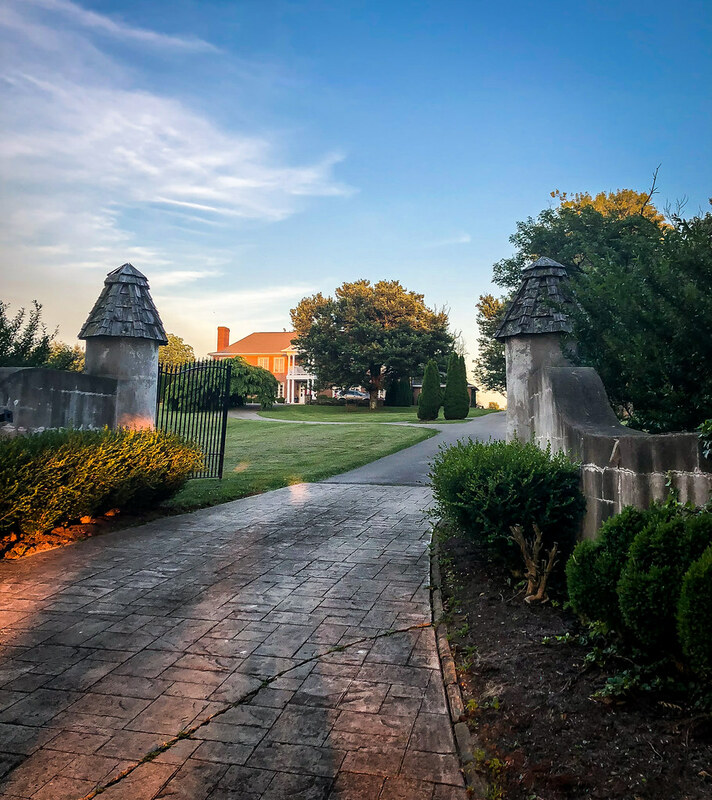 Tucked away just fifteen minutes from town is Fairyhouse Hall, a secluded 5500-square-foot estate resting on thirteen quiet acres of grassy fields and manicured gardens. This was our home for the weekend, thanks to our lovely host, Lauren McDuffie, who planned this unforgettable retreat. Just moments after stepping into the house, Lyndsey Eden greeted us at the door with glasses of wine, then the four of us enjoyed a quiet evening with tasty southern-themed appetizers, including spice-roasted cauliflower with olive dip, sweet and tangy pickled peaches, and homemade pimento cheese—a sneak preview from Lauren’s upcoming cookbook. Once the sun started to set, we were entranced by hundreds of fireflies that lit up the backyard like a scene from Peter Pan. 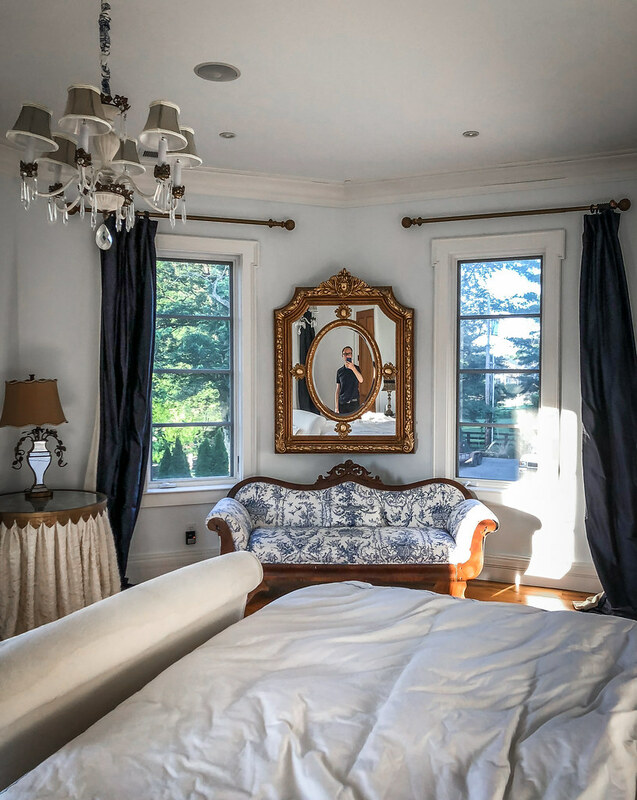 Later in the evening, Haley, the creator of Birch + Berries, arrived from Victoria, Canada, so we celebrated with some more wine, then hit the hay in our comfortable master suite, resting up for our exciting—and boozy—itinerary the following day. Kentucky bourbon was the theme of our Friday morning. 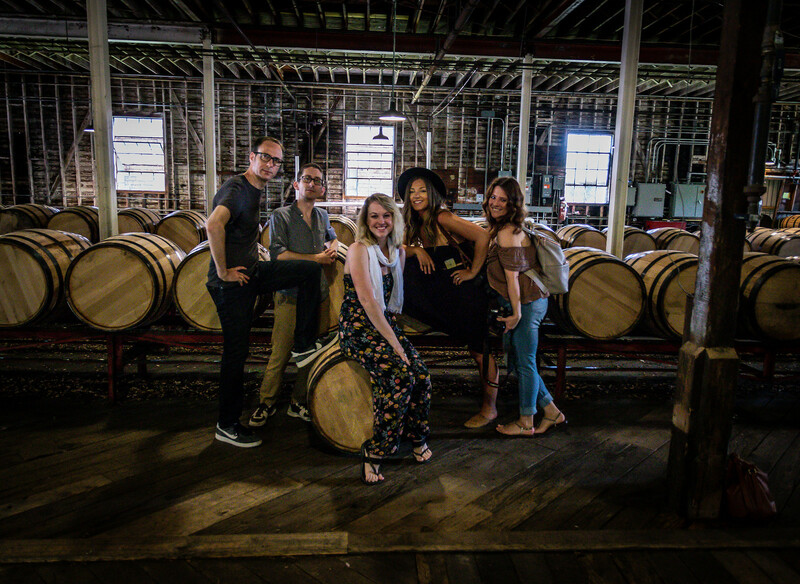 Our group was treated to a private tasting tour at the historic Buffalo Trace distillery, originally built in 1792. 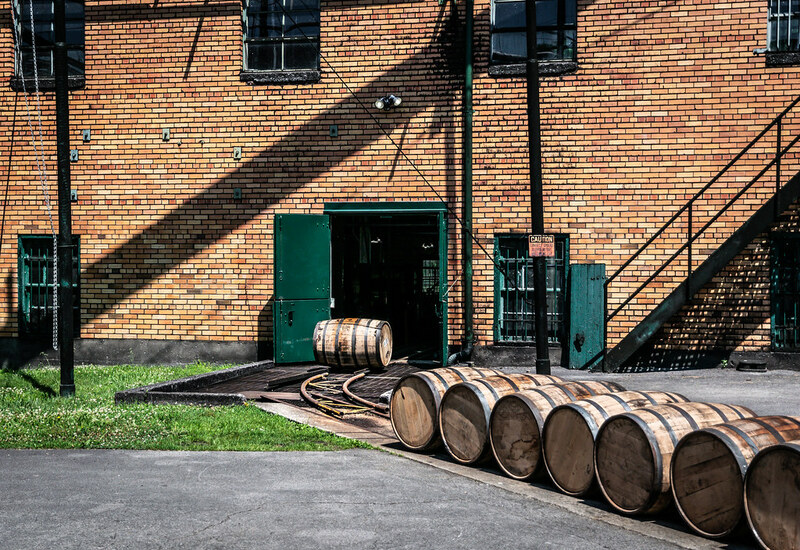 As our entertaining and knowledgable tour guide shared the history of the 226-year-old facility, we learned all about how bourbon is made, and we even sampled the alcohol in the various stages of its production. 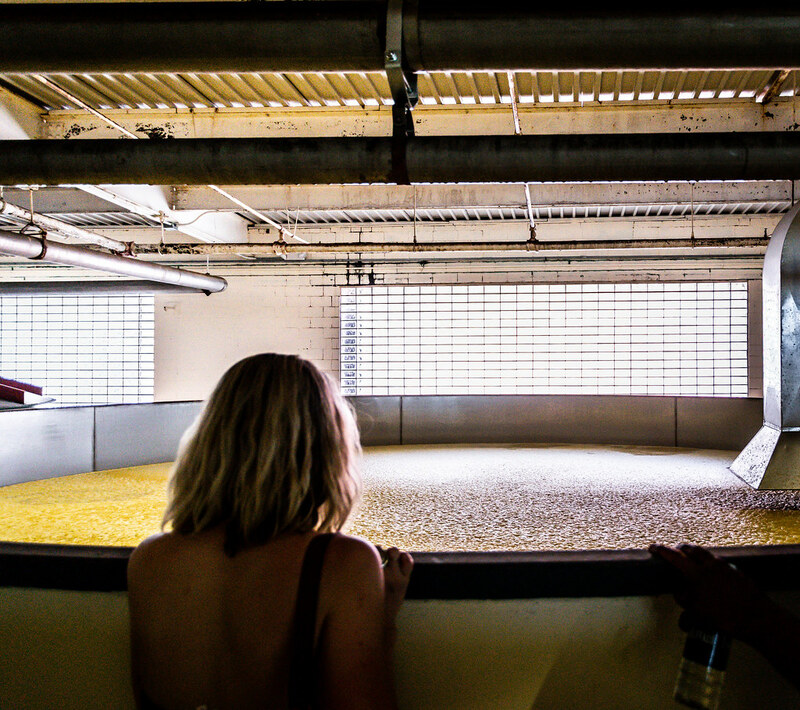 The first room on the tour contained massive two-story fermentation tanks filled with mash—a golden mixture of grains and water that bubble and slowly ferment before being distilled. 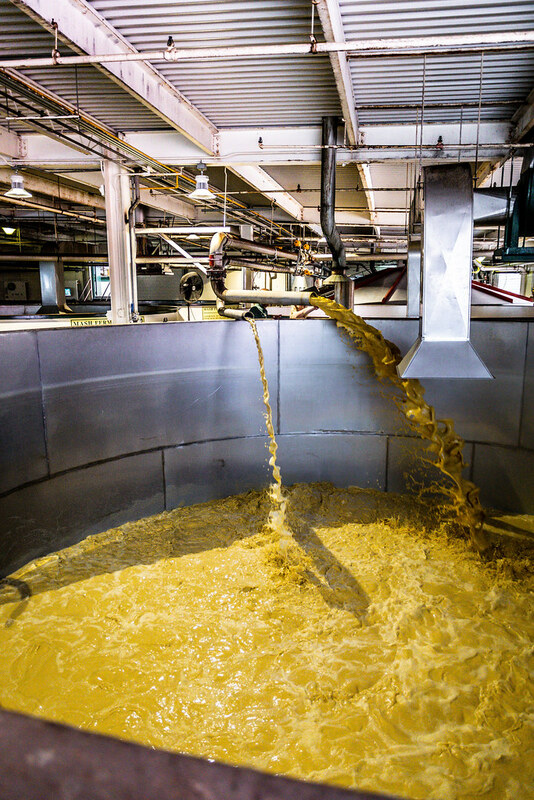 It felt like Willie Wonka’s Factory when our guide instructed us to dip our fingers in the open tank to taste this cool, frothy brew, which had a sweet flavor and grainy texture from the corn, rye, barley, and wheat. 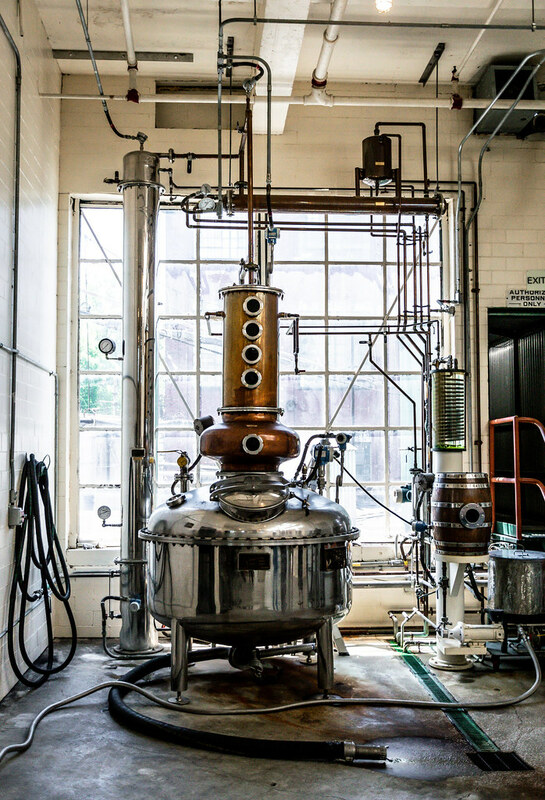 Then we visited the giant stills, where the fermented mash is heated and distilled into clear alcohol. Our guide gave us samples to try, and cautioned us to only take a small sip of this intensely powerful pure moonshine—but apparently Adam didn’t hear his instructions and nearly fainted after downing an entire shot. Thankfully, he survived, and found himself enjoying the tour even more than before. 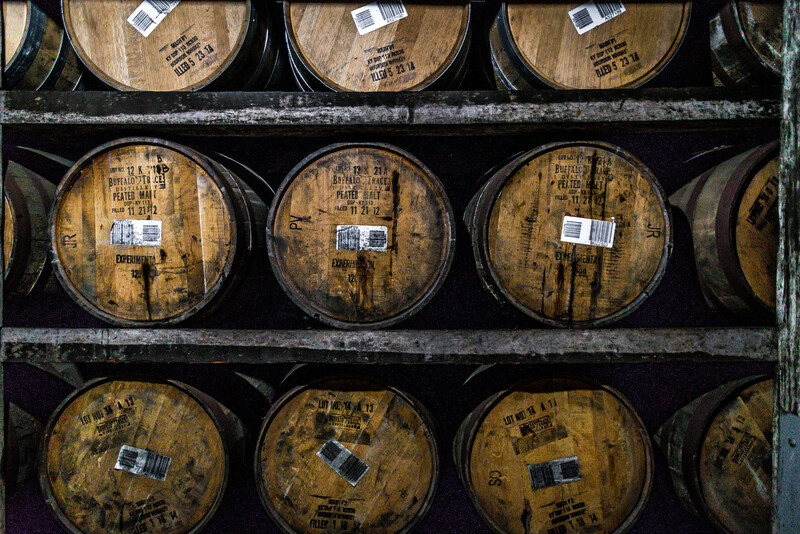 We were shown how the oak barrels are made and how the insides are torched before being filled, which enhances the flavor of the alcohol over time. 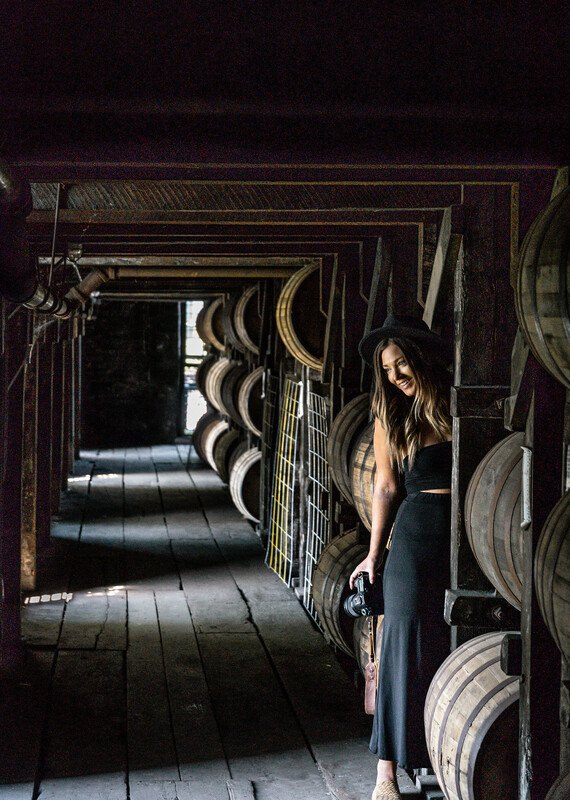 We walked through the dimly lit, ancient halls where thousands of barrels are stacked and slowly aged, giving the clear distilled liquor a warm flavor and amber color over the years, transforming it into authentic Kentucky bourbon. Then, in the next building, we watched the process of uncorking the barrels, and Ryan volunteered to show our group how it’s properly done—which you can see in the gif above. 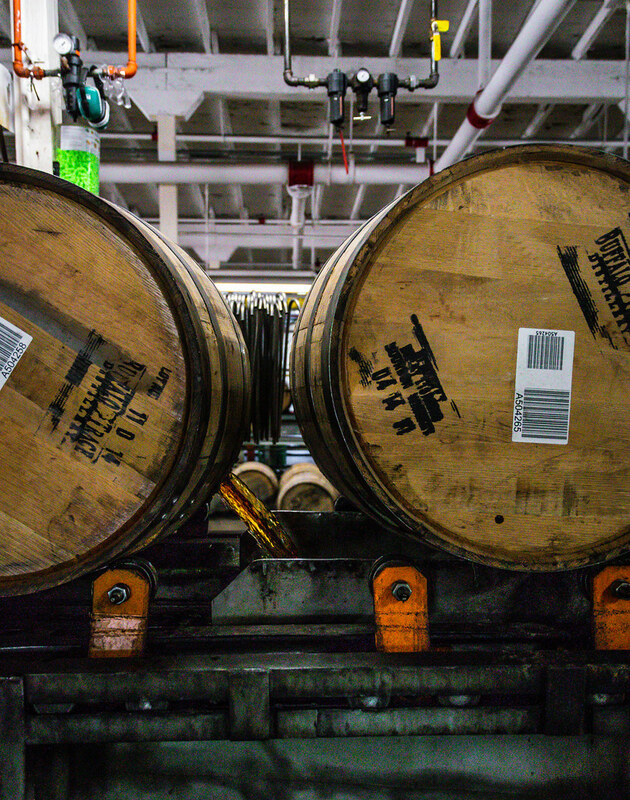 We peeked in the factory where the bourbon was being bottled and labeled, then followed our guide into the tasting room where we sipped and compared three kinds of bourbon—and for each one, we sampled the raw and aged versions so we could taste the difference. 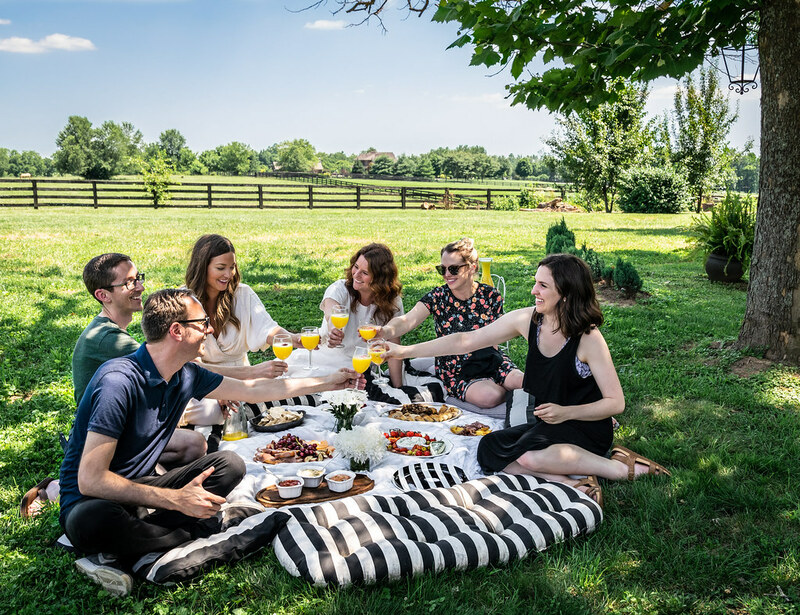 Afterwards, we headed back to Fairyhouse Hall where we were joined by Samantha from In the Midst Blog, and we all relaxed in the gardens until our dinner at Windy Corner Market, an authentic Kentucky diner that offers southern-style entrees with live, local bluegrass music. On Saturday morning, we participated in a meal-packing event with Rise Against Hunger. 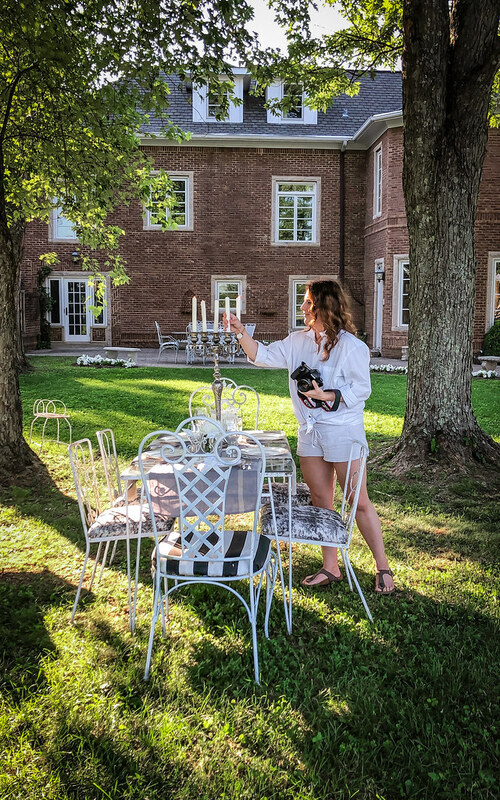 This was one of the main purposes of our retreat; besides getting to cook together, explore Kentucky, and bond with our fellow bloggers over nightly glasses of bourbon, it was also important to Lauren to spend a day giving back to people in need. She put the message out to the Lexington community about this project, and found thirty generous volunteers who sacrificed their Saturday morning to meet in a gym at a local Catholic high school. Within just a few hours, we packaged over ten thousand meals which will be distributed to hungry families outside the United States. We set up tables in the gym—each one with four to five volunteers helping with a unique task. Every table was supplied with dry rice, soy protein flakes, dehydrated vegetables, and vitamin spice packets—and like an assembly line, we meticulously used the ingredients to fill plastic bags labeled with nutritional facts and simple cooking instructions. Weeks before the retreat, our small group raised over $4000—thanks in large part to a generous donation from Tillamook—which covered the costs to make this meal-packing event a success. It funded the ingredients, supplies, and logistics, and we discovered how easy it is to accomplish something so meaningful and significant in just a few hours. 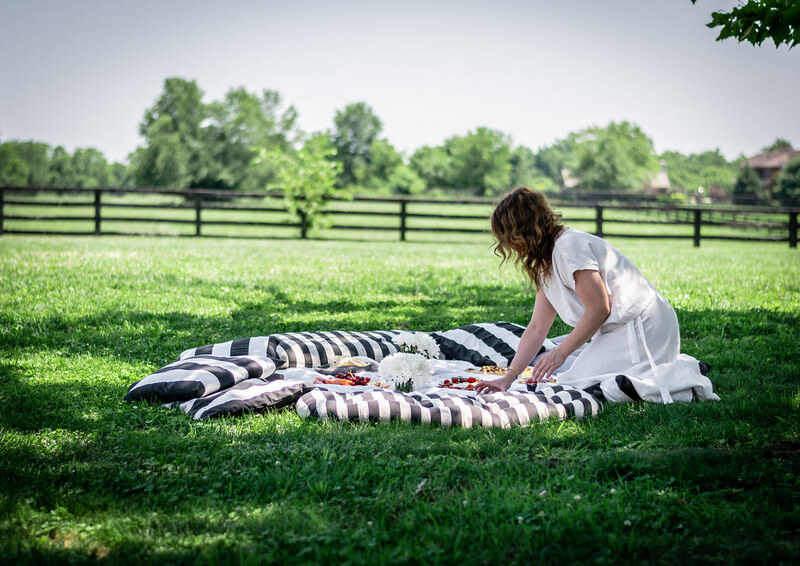 For lunch, we picnicked together on a blanket in the backyard of Fairyhouse Hall. 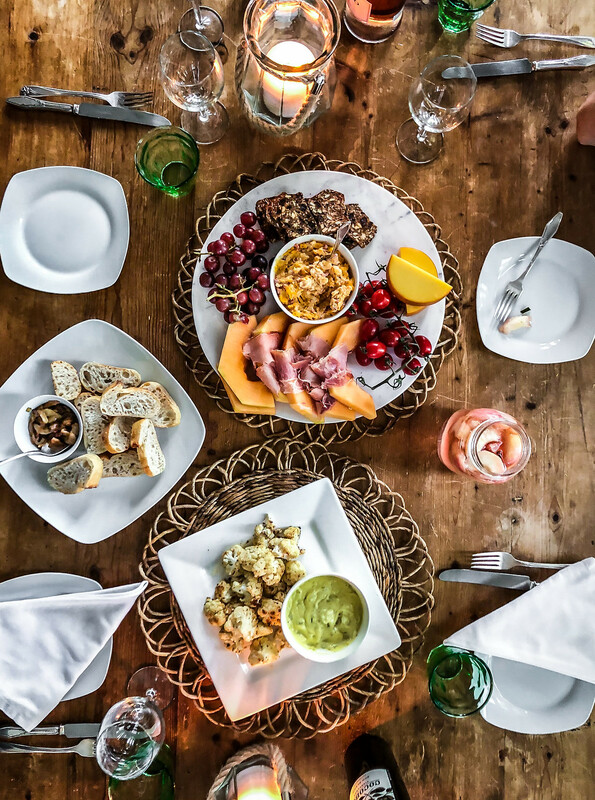 We snacked on light appetizers—cheese, crackers, fresh fruit, homemade dips, and sparkling mimosas—in order to save room for our epic potluck that evening. 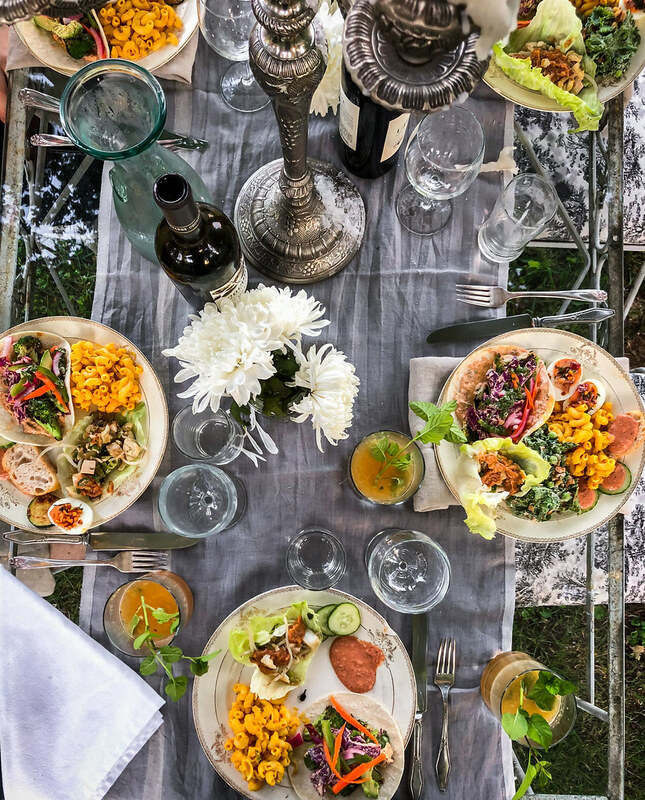 The rest of the afternoon was spent shopping, cooking, and preparing for one of the most beautiful dinners we have ever attended, seated outside at an elegant candlelit table expertly styled by Lyndsey as fireflies glowed around us in the twilight. All the groceries came from Kroger, and we are thankful to them for sponsoring our meal and supplying the ingredients for this memorable feast. 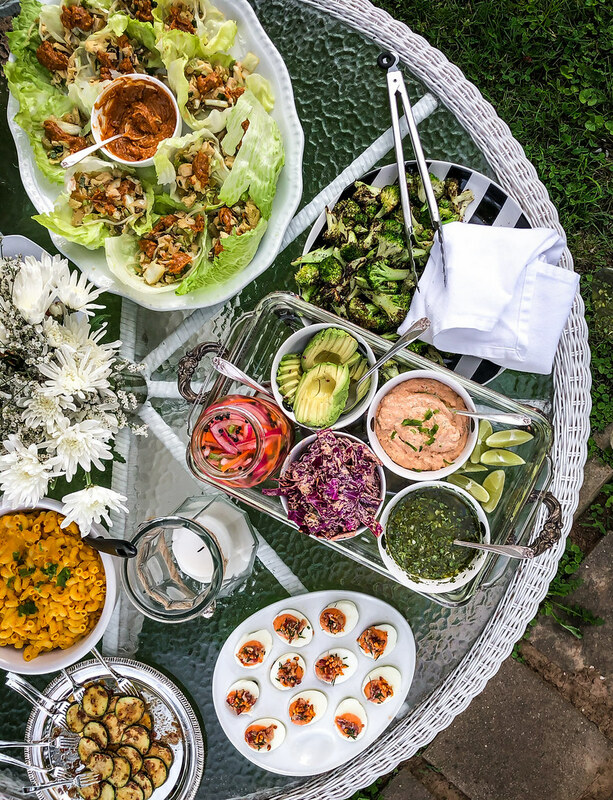 Each person prepared something special, and the result was a rainbow of dishes that decorated the table with vibrant colors and creative flavors. Samantha whipped up a recipe from A Couple Cooks blog—a tangy roasted tomato almond dip, served with toasted baguette slices. Haley prepared a crisp kale caesar salad with a tasty nut-based parmesan topping. 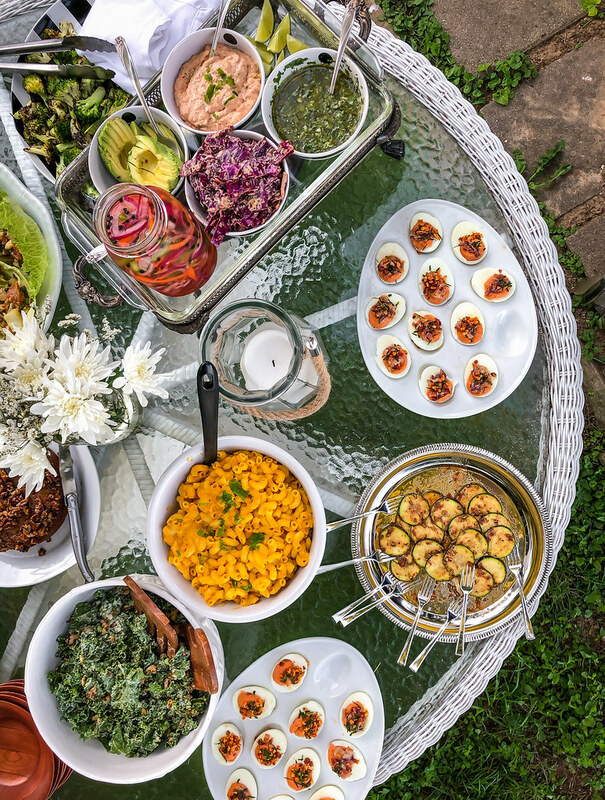 Lauren wowed us with her creamy roasted tomato deviled eggs topped with smoked candied nuts. Lyndsey knocked everyone’s socks off with her charred broccoli tacos, with homemade chipotle mayo, pickled vegetables, chipotle cabbage, and cilantro herb oil. And we brought four creations to the party: our bourbon-based Lexington Smash cocktail, a browned butter bourbon pecan pie upside-down cake, and two never-before-seen dishes from our new cookbook: Creamy Vegan Mac and Cheese made with cashew cream from the Sides Chapter, and Moo Shu Vegetable Lettuce Wraps with Peanut Sauce from the Entertaining Chapter—sorry to tease, but March 12 will be here before you know it! And speaking of new recipes, break out your mandolin and fiddle, because this bourbon cream is here to transport you to the green hills of Kentucky. We can’t stop sipping this bourbon cream. 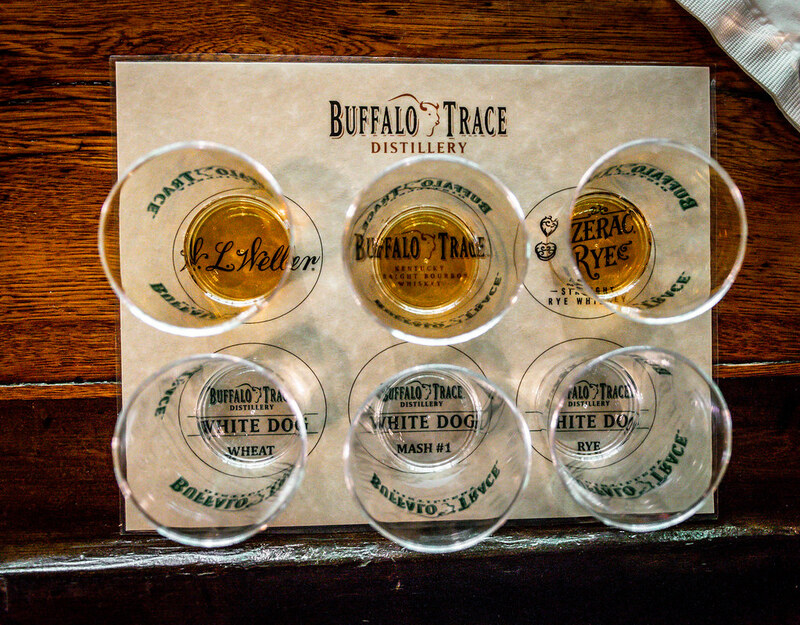 At the end of our distillery tour at Buffalo Trace, we sampled something similar, and the minute we got home, we figured out a way to duplicate this smooth and sweet liqueur. 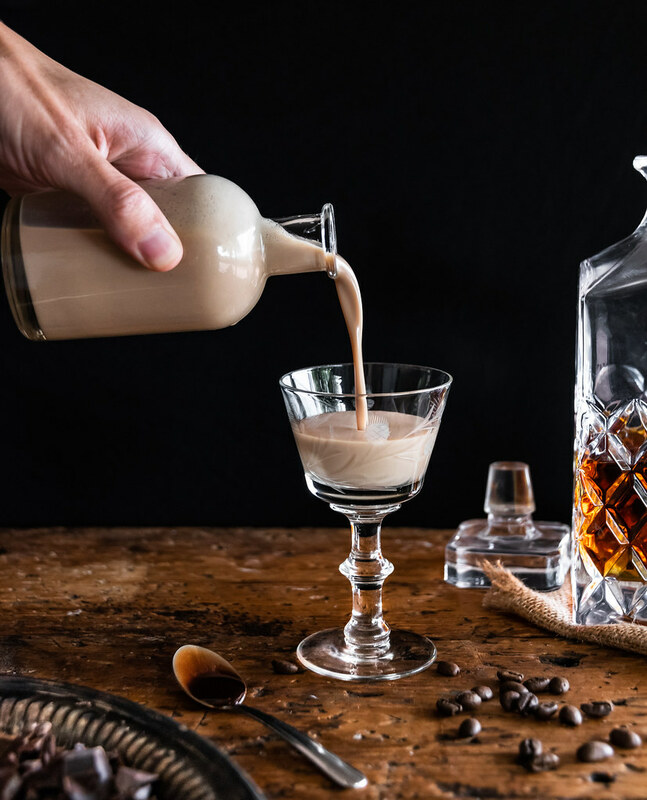 Our silky beverage is tasty on its own, chilled or over ice, and can be used anytime a recipe calls for Irish cream. Drizzle it over a bowl of vanilla ice cream, add a splash to your morning coffee, blend it with root beer for a grownup float, or mix it in a cocktail. Made with your favorite bourbon, condensed milk, cream, chocolate syrup, coffee, vanilla, and almond extract—sit back, turn up your favorite bluegrass album, and y’all have a good night y’hear? In a large measuring cup, whisk together all the ingredients until smooth and blended. Transfer to a sealed bottle or other container and refrigerate for up to two weeks. Enjoy! — Bourbon cream can be enjoyed on its own, sipped straight or over ice, stirred in coffee, poured over ice cream, or mixed in cocktails. Hi Jeff! What perfect timing! 😉 We are both new-ish to bourbon as well. 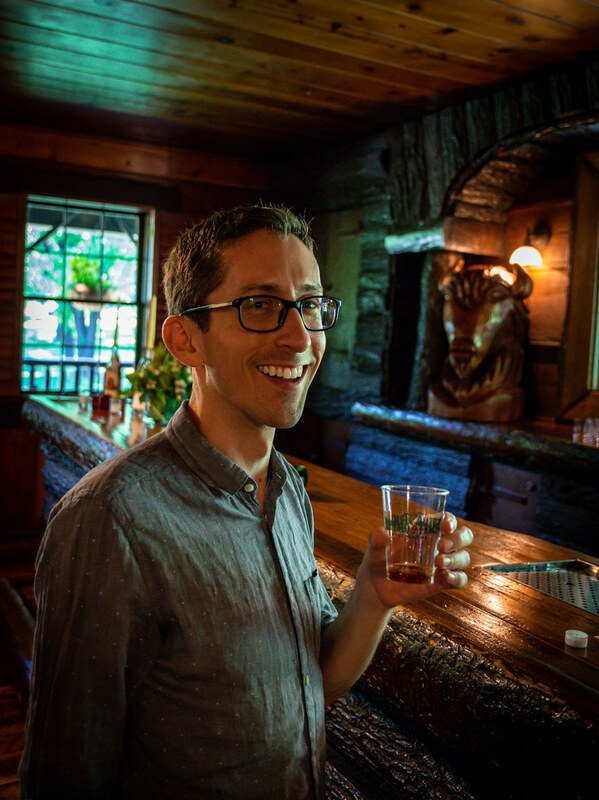 Adam had a rough experience with whiskey as a teenager so he avoided it for years, but recently we have both developed a taste for it, so it’s been fun to learn more about it, how it’s made, and the differences between each type. We hope you enjoy the bourbon cream—if you like root beer floats at all, definitely try mixing this with a good root beer, as the combination is divine! Cheers!